NEW YORK (Reuters) - Despite General Electric Co's impending sale of its appliances business, the company is not abandoning the consumer. The U.S. conglomerate, along with startup invention company Quirky, on Tuesday revealed seven "connected home" retail products that allow people to remotely control and monitor such things as temperature, doors and windows, water leakage and energy usage. The GE/Quirky products will compete with an increasingly crowded field of companies using sensors to develop "smart home" technology to help people control their environment in new ways. 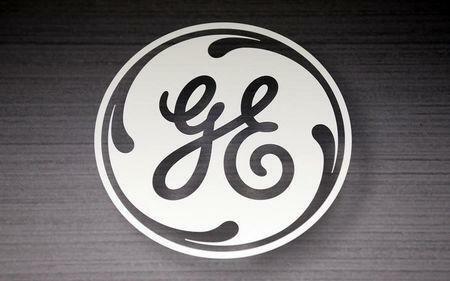 The announcement may seem counterintuitive after GE agreed in September to sell its century-old appliances business for $3.3 billion to Sweden's Electrolux. GE's decision to exit its major consumer-facing business comes as Chief Executive Jeff Immelt tilts more toward industrial products such as jet engines, power-generating turbines and oil and gas equipment. Even with the appliances sale, GE's brand "means a lot to consumers," GE Chief Marketing Officer Beth Comstock said on Tuesday, underscoring a major rationale for the products that will be co-branded with both companies' names. "Our future is more industrial, more commercial. But our brand has resonance," Comstock said in an interview after the press event at Quirky's New York headquarters. "It’s been in the home, so can we find these interesting partnerships that allow the brand to continue to live? That’s very much what’s at play here." "We believe that people need to experience, they need touch things as well," she said. "So continuing to have a product with a brand is important, even if we’re not necessarily the only ones manufacturing it." The Quirky partnership holds other benefits, Comstock said, such as exposure for the massive manufacturer to the entrepreneurial culture of a startup. She said that "increasingly on the consumer side, you'll see us partnering more." "We’re opening the brand up as opposed to just having to do it all ourselves."